Well, when you find a masterpiece such as this legendary, holiday hootenanny, The Perry Como Christmas Album, at Goodwill for a cool 100 pennies, and need to listen to EVERY record before it gets filed away into the fold, Christmas just may happen to appear on a random Tuesday evening. I mean, why the hell not?! 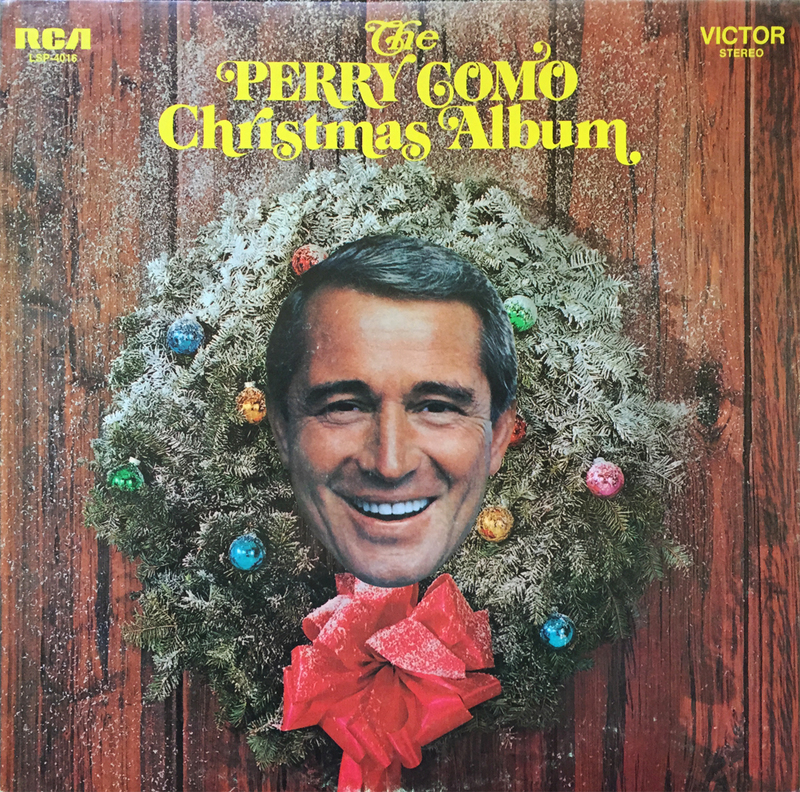 If you don’t feel the need to question Perry Como’s majestic smile disturbingly placed in the center of a frosted Christmas wreath, then chances are you’ve already purchased your ticket and are strategically eyeing your window seat on the crazy bus. Yes I listened to this album in its entirety, and yes, I’m okay with admitting that.